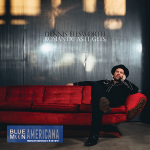 Americana music represented by new releases and vintage roots. This week, new music from Luther Dickinson, Dennis Ellsworth, Ron Pope, as well as Pretty Gritty. We’re also going to turn a lot of our attention this week to some country swing pickin’s from the past and present. We’ve got The Time Jumpers, Suzie Blue, and Big Sandy…as well as a long set of the Wheel. Tune in for our regular Thursday morning show on Sonoma County’s newest radio voice!